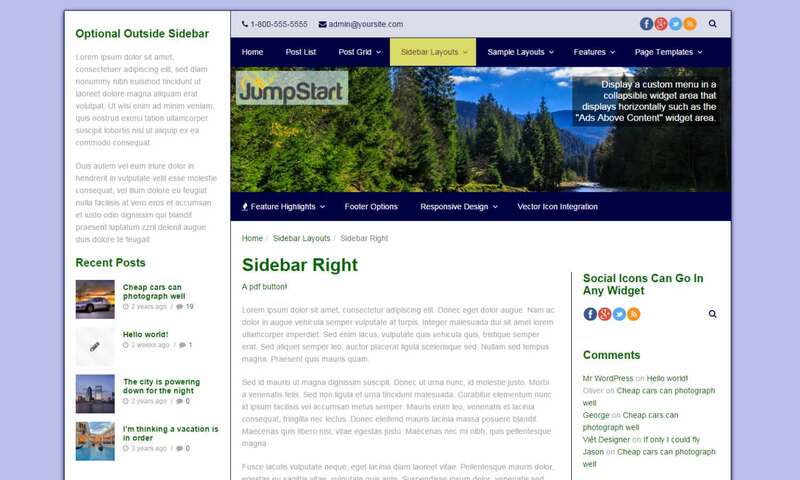 These are some of the possibilities with JumpStart and my Child Theme all of these looks can be achieved with the child theme options. 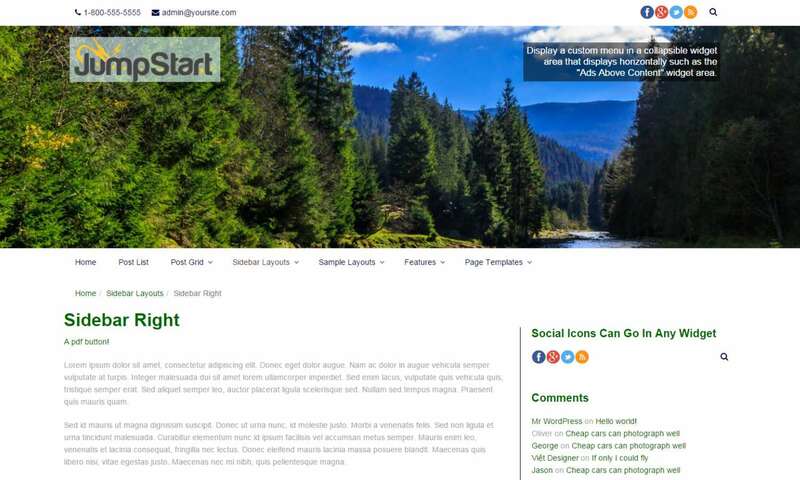 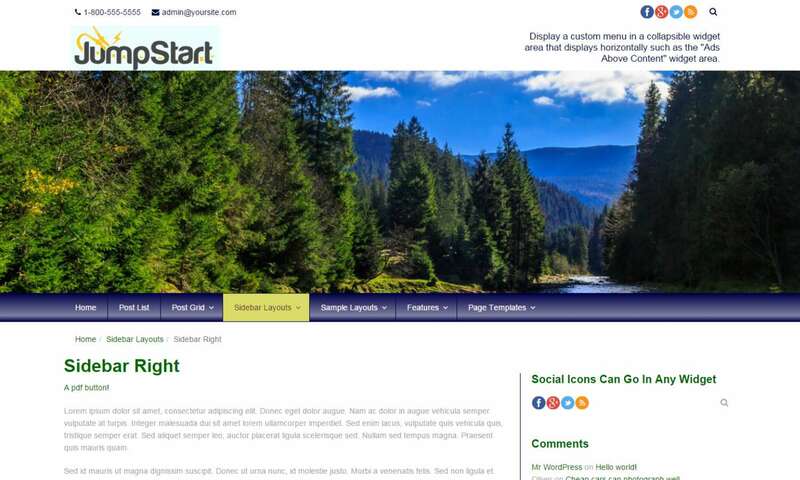 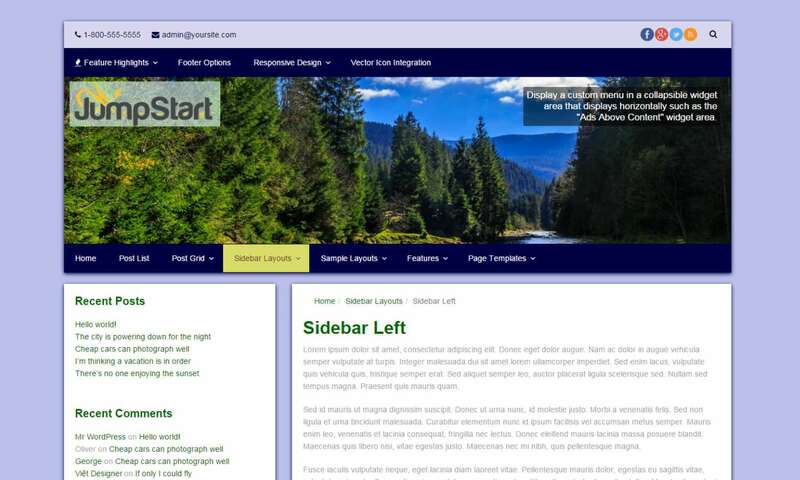 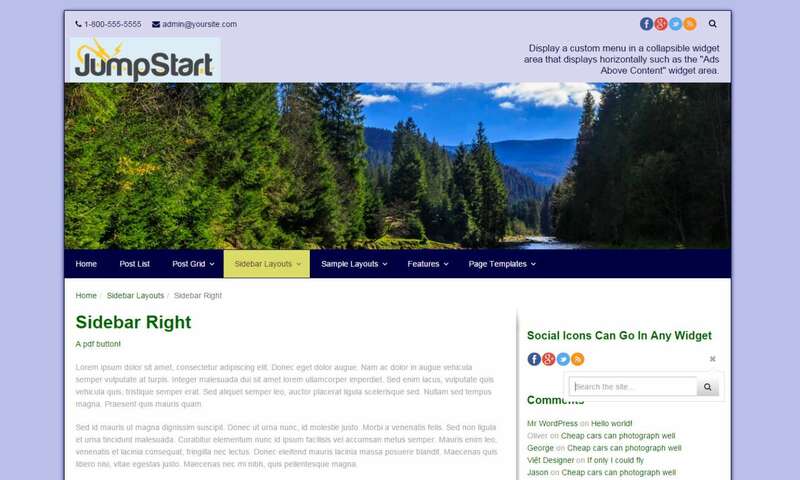 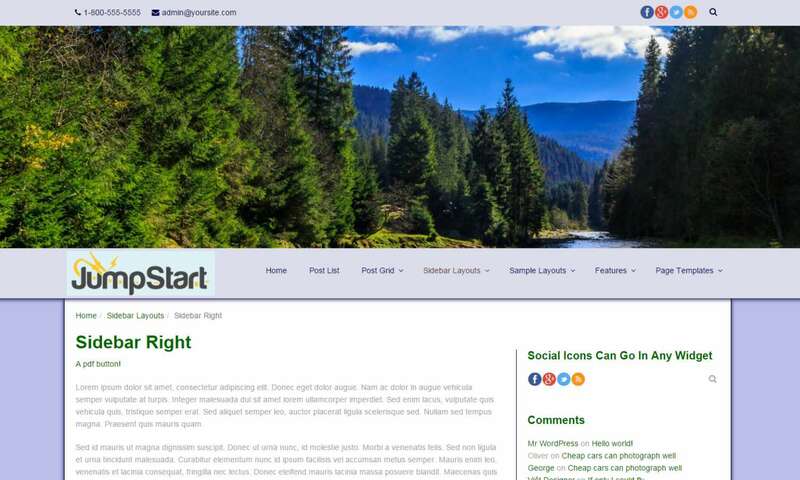 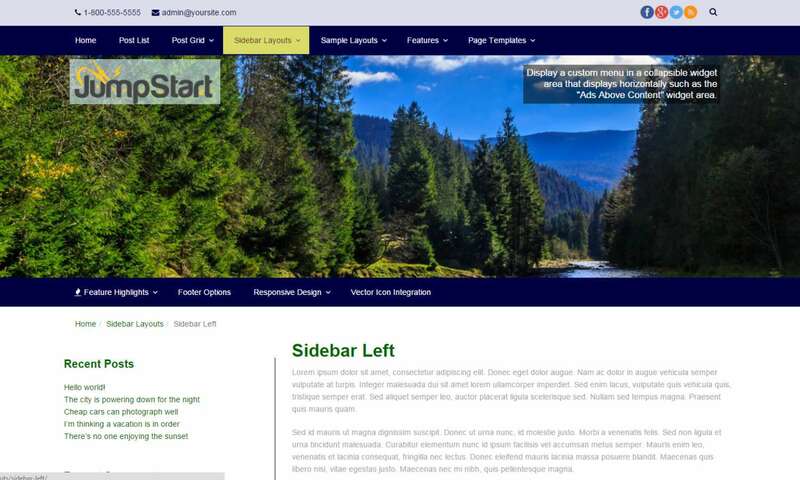 Header, footer, page, background and menu colors are completely customizable. 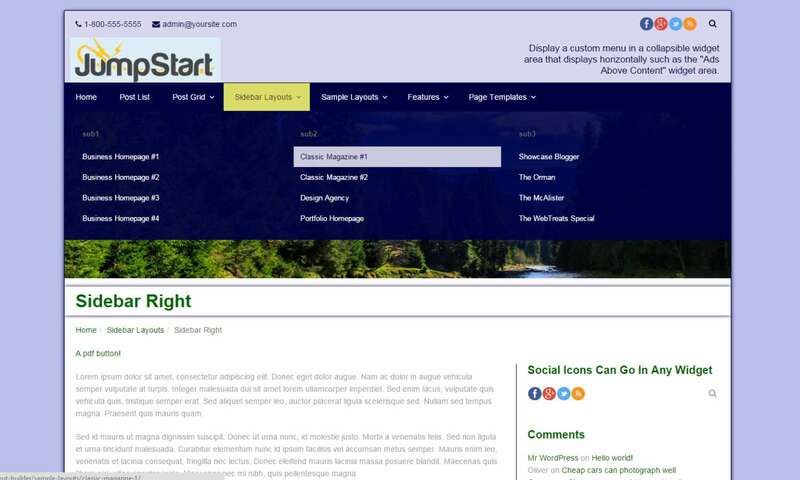 We can mix the choices as you see fit. 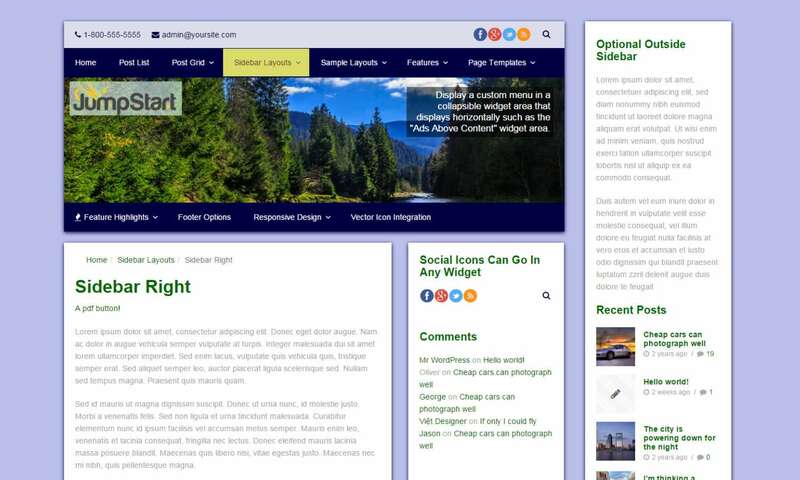 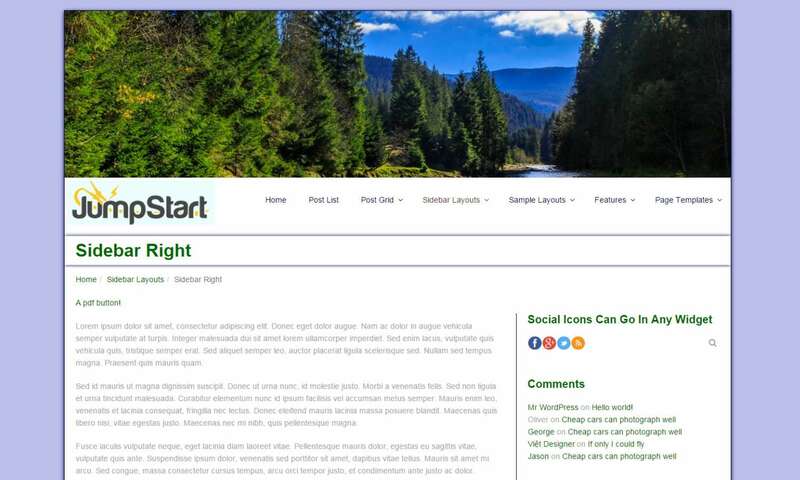 Header images can be turned on and off on a page by page basis. 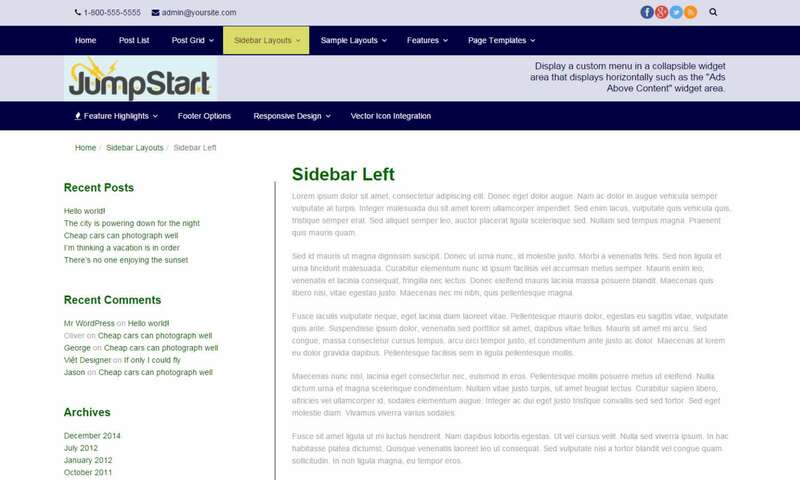 Headers can contain images or sliders.